Paid internship - Your Food & Beverage hotel internship with s-w-e-p! First of all, the duration of this paid internship can be scheduled anywhere between 2 to 6 months. In general, you will have the opportunity to familiarise yourself with all the service processes in a buffet restaurant, the hotel’s bars and the underlying organisation. First, you will be instructed by the head waiter and later serve guests independently. 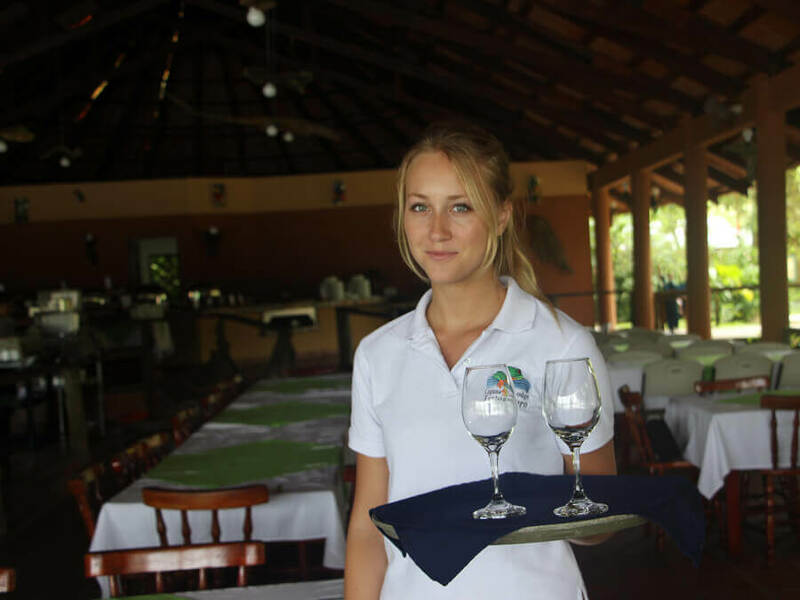 Among other tasks you are responsible for setting tables, removing the used dishes, welcoming guests, taking orders and of course serving. Also, you will create invoices, organise events and deal with costumers complaints and compliments. All in all, you have to promote costumer loyalty through the quality of service provided by offering the highest level of service. Moreover, you will work 40 hours per week with two days off. Besides, accommodation and meals are provided by the hotel free of charge and you will get €150 pocket money per month. Firstly, you are studying towards a degree in Tourism, Languages, Business Studies etc or doing training and have an interest in the hospitality industry. Further, you like to take care of the guests’ wellbeing. Likewise, your personality is attentive and sociable, especially at the bar, as you will need to be able to communicate with guests in a friendly and pleasant way. Especially a friendly demeanor and a neat appearance are essential. In general you have to be in a good mood and enjoy interacting with international guests. Overall, your English should be good and it would be beneficial, if you have a basic knowledge of Spanish.